Plumber is a package which allows you to create web APIs from your R code. 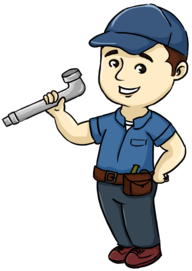 If you're new to Plumber, you can find out more at www.rplumber.io. Support customized image sizes on the @png and @jpeg annotations. More details here. Support expiration, HTTPOnly, and Secure flags on cookies as discussed here (but see the "Known Bugs" section below for an important note about cookie expiration in v0.4.4). Restore functionality of PlumberStatic routers (#156). Support arguments sent from clients to nested subrouters. For APIs deployed using DigitalOcean, set the working directory to the root of the API before starting. Ignore capitalization when searching for plumber.r and entrypoint.r files when plumb()ing a directory. Make adding swap file idempotent in do_provision() so you can now call that function on a single droplet multiple times. Fixed bug in which a single function couldn't support multiple paths for a single verb (#203).